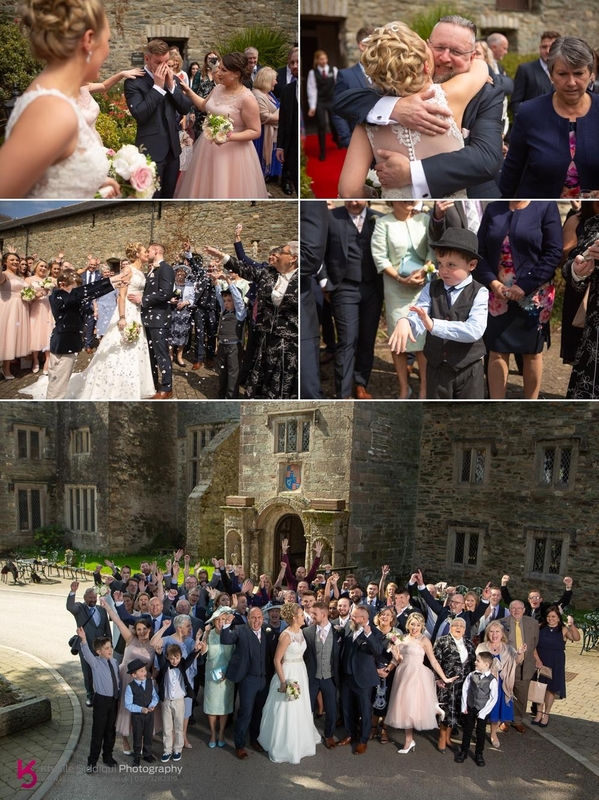 We were so excited to be going back to the very handsome five star hotel that is Boringdon Hall for the wedding of Aimee and James. 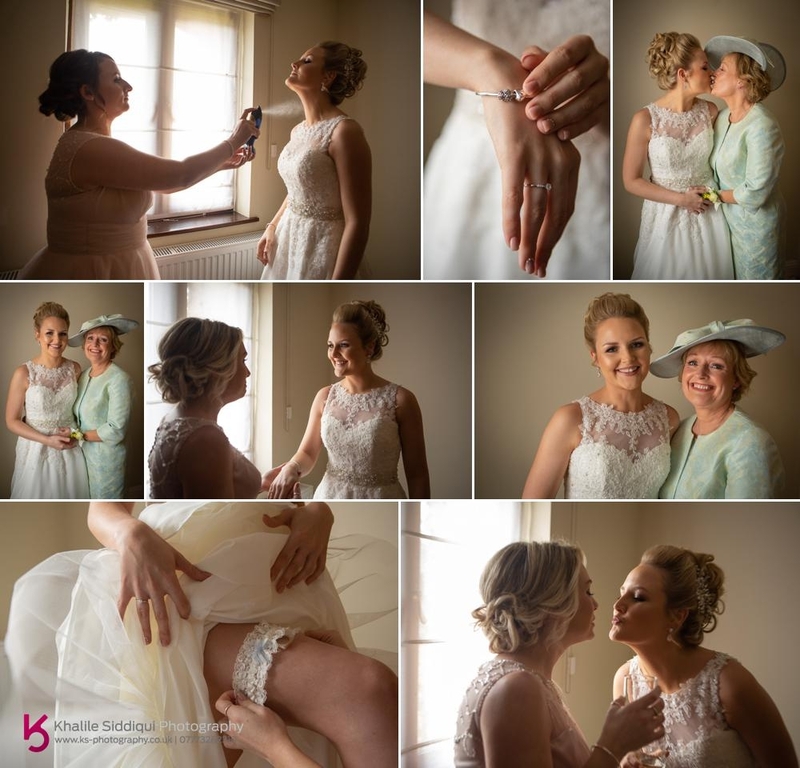 Aimee came across me at a wedding fair back in 2016 and trusted her instinct and made her mind up straight away that she wanted to secure us for her wedding photography. Our day started with meeting James and the boys getting ready at Aimee and James' home. 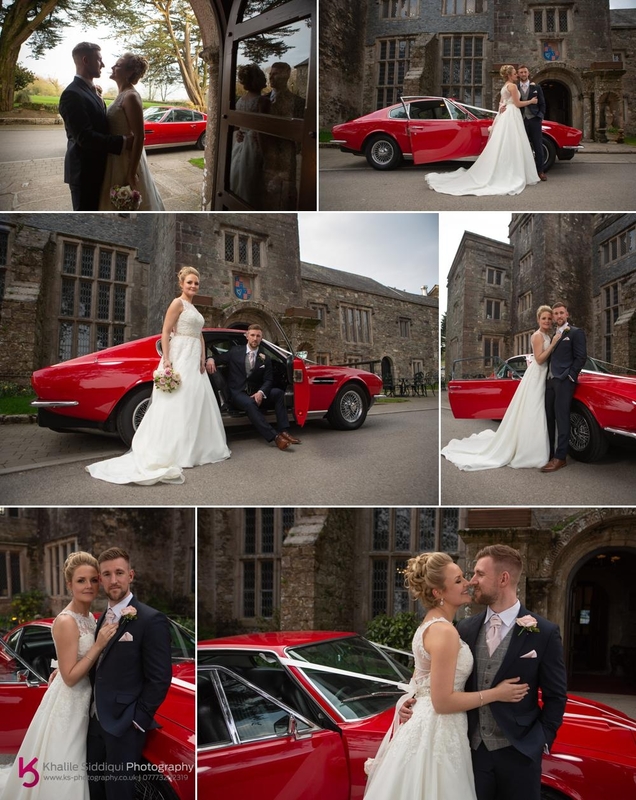 When we arrived I found James' dad Mike fixing the ribbon to the classic Aston Martin Vantage that Mike and his fiancé Donna brought down from Oxfordshire, borrowed from The Aston Martin Heritage Trust where Donna works. 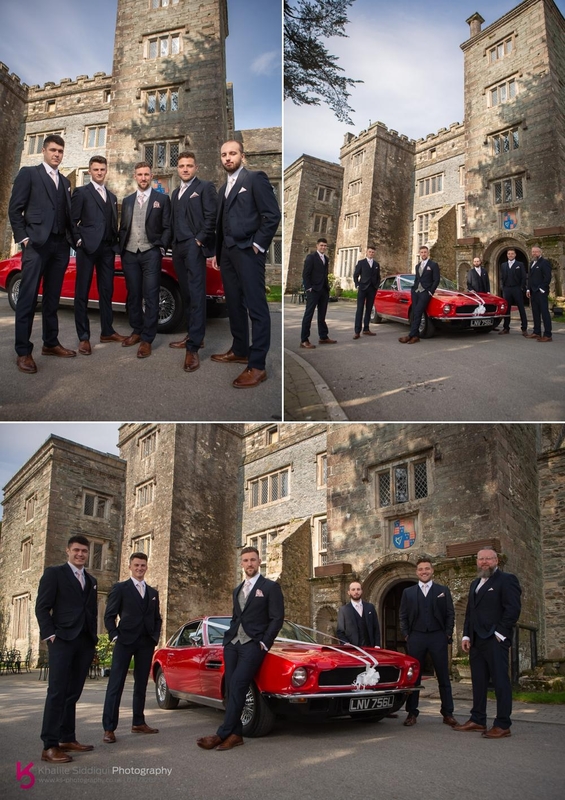 We got a few shots of the boys getting into their 'Grooms Room' suits at the house along with the engraved whisky glass presents (and drinking), before heading to Boringdon Hall Hotel to make the most of having the Aston Martin and the magnificent hotel as a back drop. 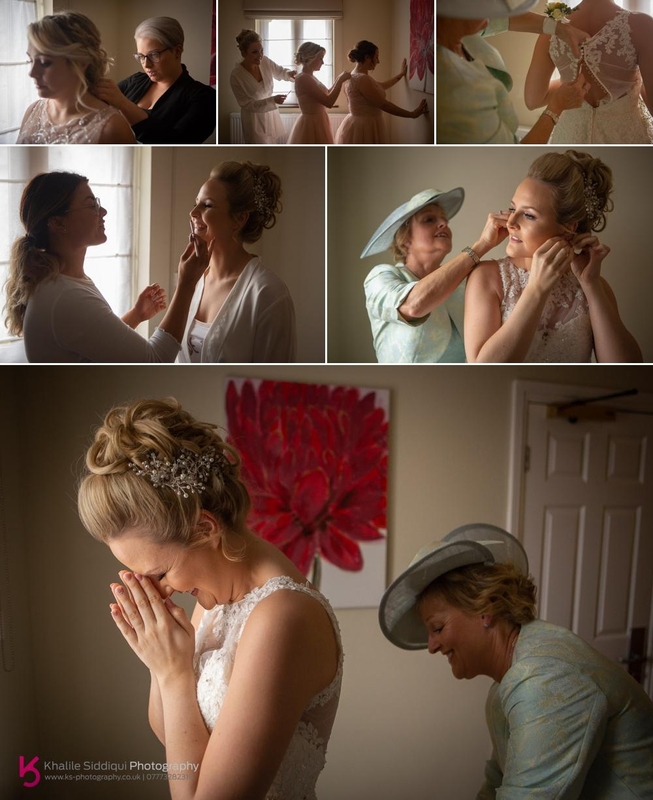 Aimee was getting ready at the hotel with help from 'Emmie Green' doing the makeup, and hair by 'Naomi Baines at Revelations Hair' of Ivybridge so while that was going on I got a few detail shots of her stunning wedding dress she bought from Prudence Gown's in Plymouth along with her other little details like the garter she had made with a little lace pocket holding her something borrowed, her Grandfather's wedding ring. 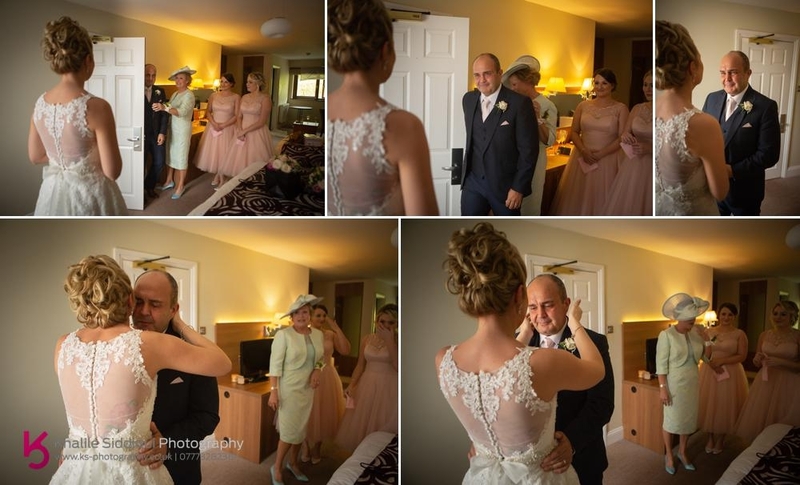 I SO do love that moment when daddy see's his little girl for the first time, dressed and ready for her wedding day. 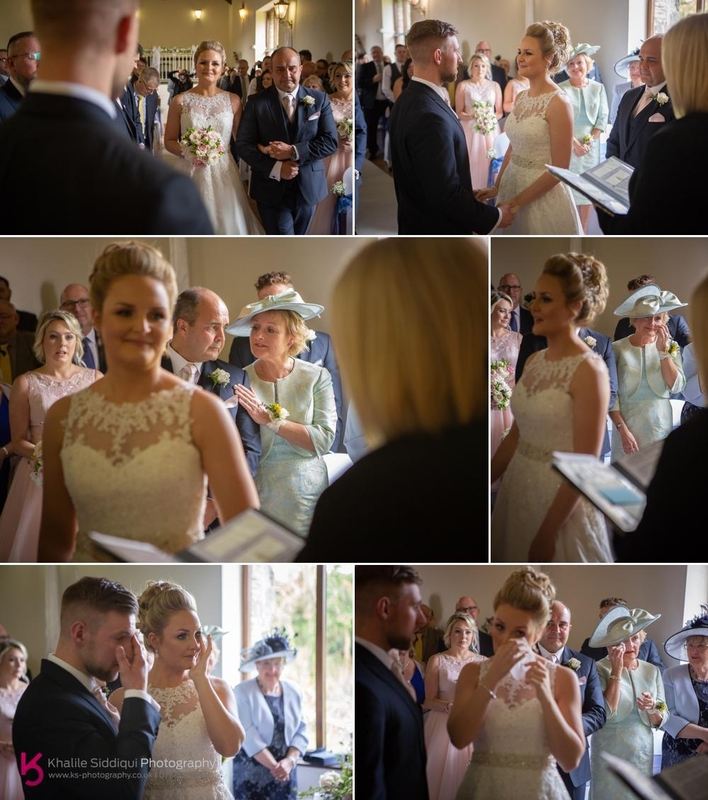 Its such a bewildering time for dad, being banished from his little girl, while he wanders pondering on his speech, thinking about all those little memories that add up to the life of someone he holds so dearly, and then POW! He sees her back lit and dressed like an angel ready for another man to take her off his hands. It really is a tear jerker!! 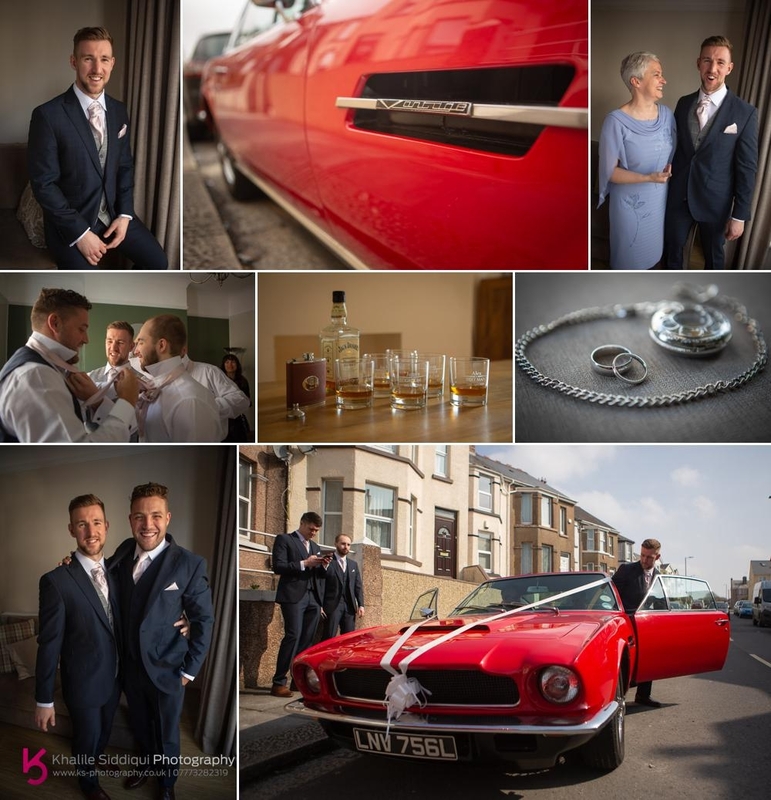 But there's no time for tears for too long, we need to get the party started with a few relaxed family and friends photos. 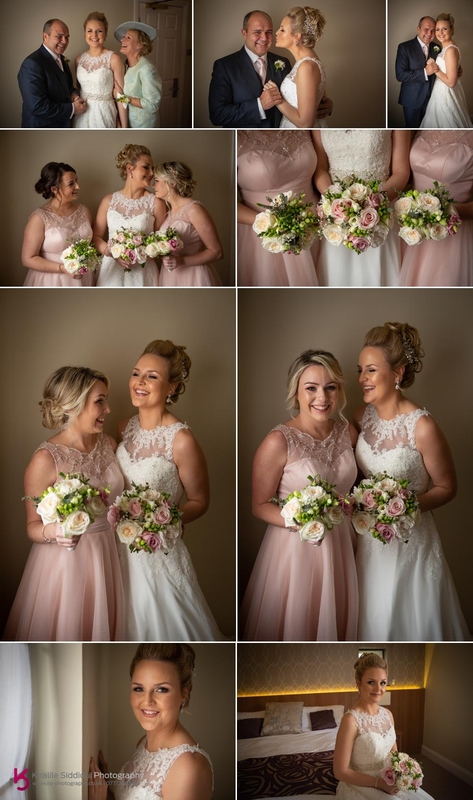 Aimee chose 'Jo Moore' to produce the finishing touch for her outfit, the summery bouquets for her and the bridesmaids to hold. 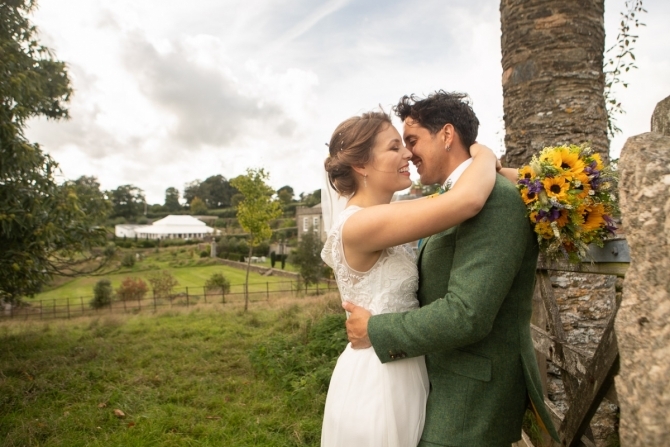 Aimee and James decided whatever the weather that they'd play safe and have their tearful wedding ceremony inside the chapel like hall with heavenly sounds provided by 'Sue Sherratt' the harpist. Dispite the ceremony taking place inside it really was a beautiful day, so drinks were served on the lawns while I performed the group photos to Aimee and James extensive list, but I think fun was had by all. 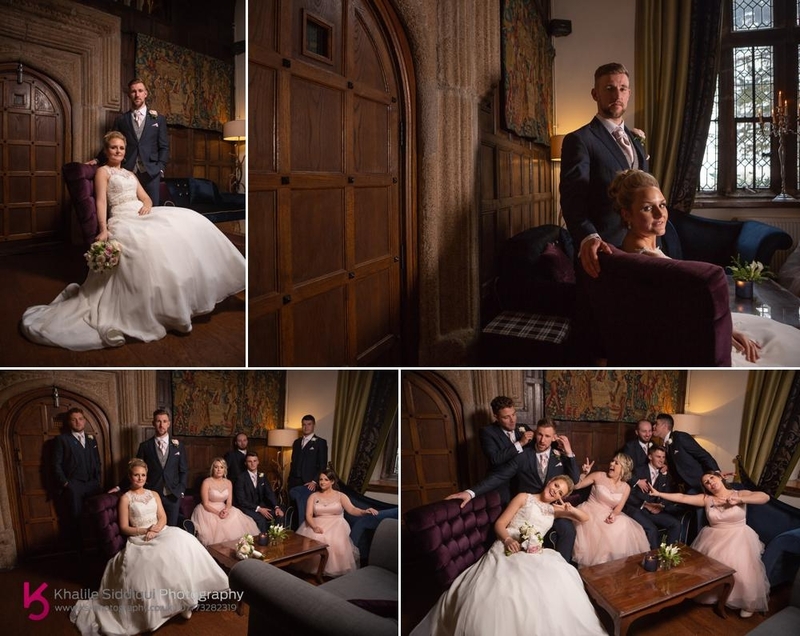 Boringdon Hall Hotel has two restaurants as well as a private guest suit with its own private bar, so before Aimee and James' guests headed upstairs for the receiving line I popped in ahead of them to get shots of the room set up. 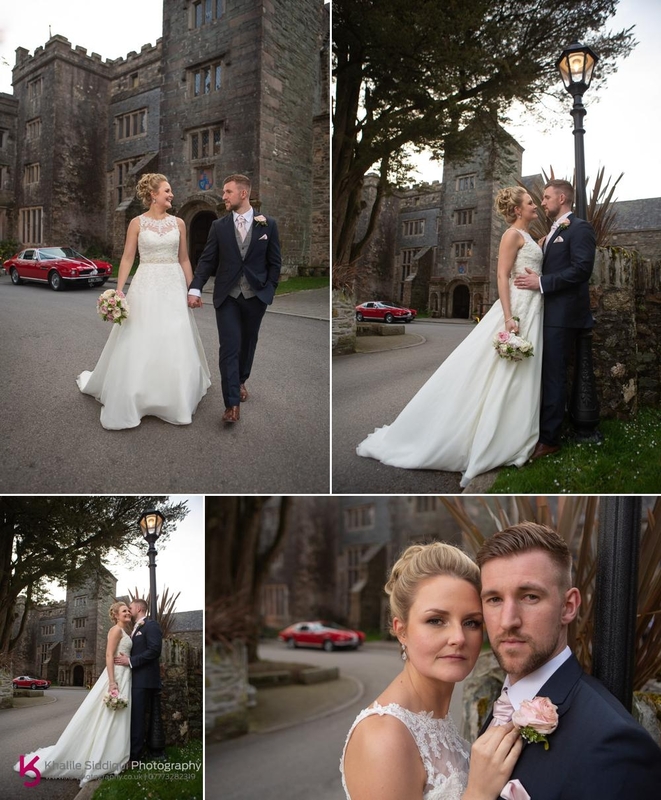 I've got to tell you, the food at Boringdon Hall really is something else having earned a 'Michelin Star', Tamsyn and I were fortunate enough to have one of the restaurants to ourselves for our own private dining experience, THANKS GUYS!!! 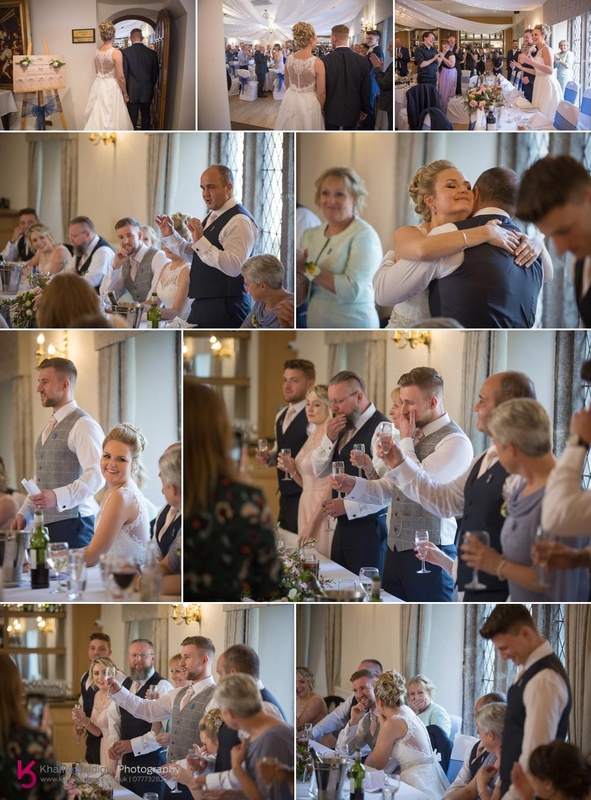 For the wedding favours Aimee and James made a donation to 'Bristol Children’s Hospital' and so all the guests received a pin badge. This was in honour of James' baby cousin who sadly passed away, and resulted with a few tears during the speeches. 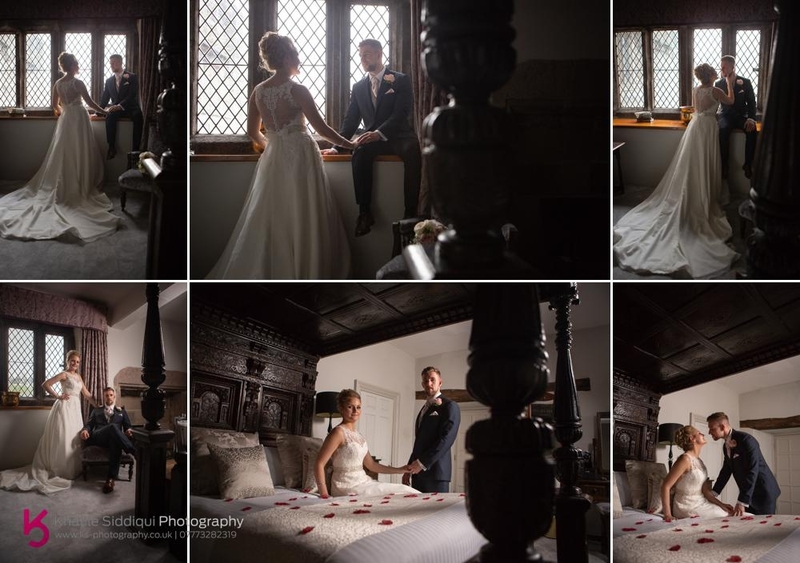 Then it was time to take Aimee and James off for a few couple shots around this handsome Elizabethan building that dates back to the Dooms Day Book. We started off in Aimee and James' bedroom before going downstairs to the hidden bar that you enter via a door handle made with a copy of 'Tales of The Un-Expected'. 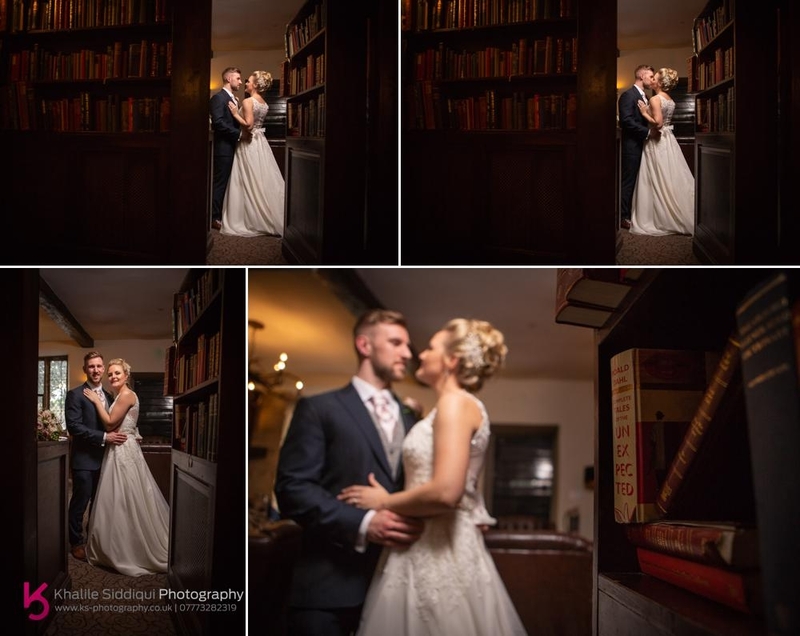 We got a few 'Downton' style shots in the main bar area. 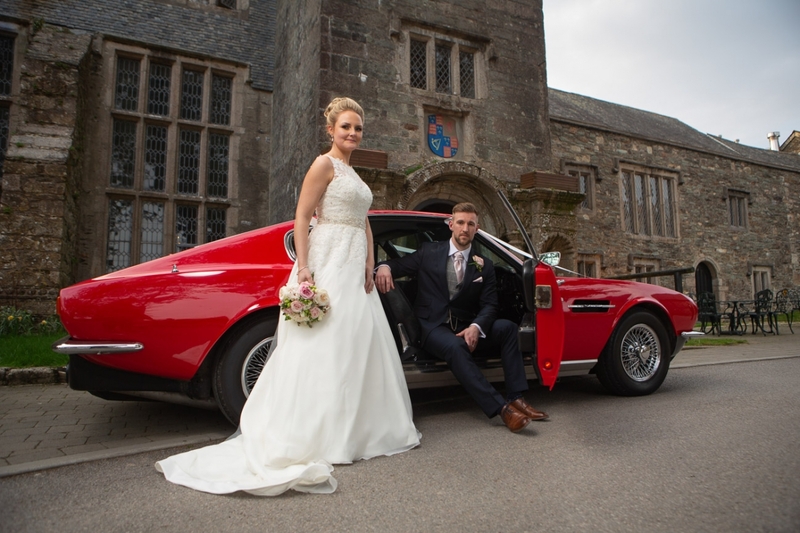 And then the 'Aston Martin' Finale! 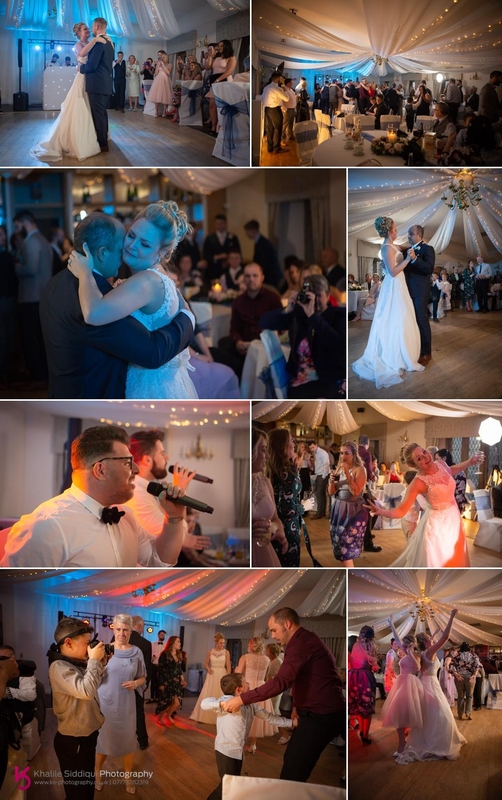 Its crazy just how fast a wedding day goes, before we knew it, it was time for the first dance, and then the last dance for Aimee and her dad Tony, all to a sound track performed by the awesome and rather regal 'Swing Kings'. 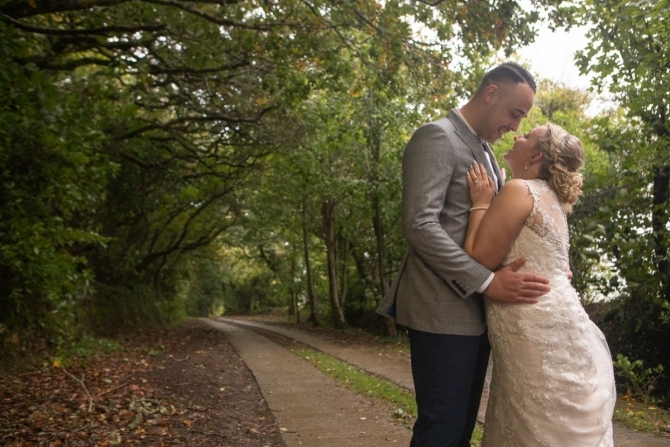 Dearest Aimee and James, thank you SO much for asking us to be part of your very special day, Tamsyn and I loved every minute of it and wish you a long, happy and healthy life together!!! 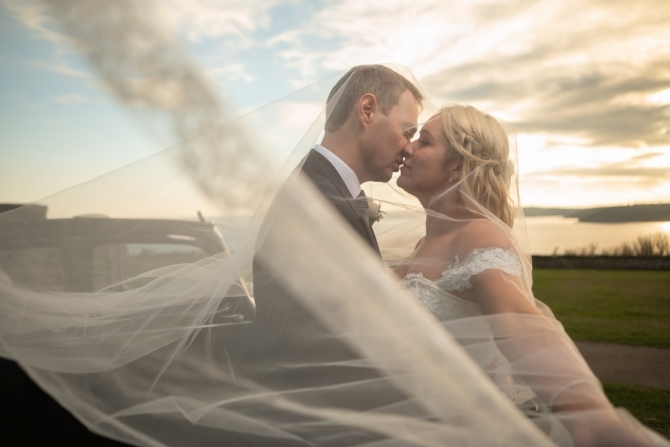 If you or someone you know are planning your own wedding, whatever part of the planet it may be, please do check out our main weddings page to get loads of useful tips on your wedding photography and please, do make an enquiry.